We are looking for a company which can provide and interface ZigBee compatible sensors for our fire safety systems and integrate them with the main server also. Please check the requested magnetic sensor (datasheet) and let me know if you can get me an item with the same specification as this Magnetic Hall Sensor. Requested quantity = 500 to 1000 pieces per year. My name is Theo Dorman-Kade and I represent a company called Gtelligence. I am writing to enquire about a natural gas sensor, and would like to know if you can provide advice on the following query. We are trying to find a natural gas sensor that can remain dormant (un-powered ) for fifteen years, but which after this time has expired, can then be powered up to take one reliable gas sample. The concept is to detect natural gas in air at 5% LEL or 2500 ppm. Temperature is -50C to 400 C. Humidity is 10% - 90% Relative Humidity. Do you know if it is possible to obtain a low cost gas sensor that can do this ? Would such a sensor need to be protected from the elements (this being located in a house basement) in some way to prevent corrosion etc. ; eg. Some sort of membrane around the sensor that can be removed when the time is right without human intervention ? The ultimate intention is to detect if there is a small leak of natural or combustible gas in a 1 " pipe, so if there are other reliable techniques that could fit this criteria ( ultrasonic ?) , we'd appreciate your advice. The sensor cannot be portable, but is instead permanently fixed. I need a vibration transmitter, loop powered 4-20 ma. Please send price in US $. I am looking for really cheap sensor strips that measure weight when sat on. These should be connected to another cheap gadget that takes readings for every time the strip is compressed by a weight of between than 30kg and 150kg. 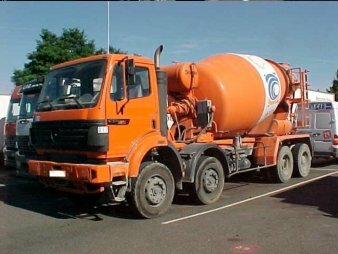 I am looking for a system that detects the sense of rotation of cement mixer drums. Any help would be gratefully accepted. We have used the IASYS biosensor for measurement of affinities between proteins. But now this biosensor chips is not available. Do you know a company, which produces and sells such biosensor chips ? Need a sensor to read C1,C2,C3,IC4,& NC5; it will have to read low concentrations of gas (10ppm) and high concentrations up to 10000 ppm. Air dilution can be used. Also is not affected by Silicon, H2S or Polymers. Sensor used for gas detection in mudlogging. Not interested in FID or IR. I am looking for a list of manufacturers, who make magnetic strips and Magnetic guide sensors for AGV Navigation. One of those manufacturer is Macome Corp. Japan. I need to know about more manufacturers. Kindly send me the list as soon as possible. I am looking for a UK distributor for non-contact laser speed/tachometer sensors. Sequoia Technology is a UK system integrator of sensors and related products and wish to contact overseas manufacturers of innovative sensor products and new technologies to discuss exclusive distribution in the UK/Europe to industries such as aerospace / petro-chem / manufacturing / R&D and defense. I want some information (technical and price) on available position and velocity sensors. For velocity below 1m/h. 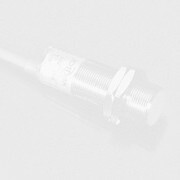 I am looking for MPXV5004D differential pressure sensor and MPXAZ4115 pressure sensor vendor in India. I am looking to purchase low cost highly accurate ultrasonic displacement/distance sensors with optimum range of 3 - 4 meters, analog output price extremely important - expected initial production qty 1000. Similar to EDP or Senscomp Mini - A (ultrasonic modules). I am looking for some type of sensor that can be set up across two points that will only be triggered when a specific signal crosses the "beam" or "barrier". The system must be able to be set up so only this signal will trip the system. If a body or other mass crosses the beam the system must still be able to detect this signal. There would be some sort of chip or device that will emit a specific pulse or frequency that will be able to transmit even if it is concealed, i.e. if it is in a pocket or a bag. The signal would then be transmitted to activate another device. This must be a specific signal however. Do you know of any type of sensor, such as a photoelectric beam or something to that nature that may accomplish this? Any assistance you can provide will be greatly appreciated. I am looking for submersible torque sensors (price range and the delivery time). We are working on a pilot installation where we need to sense a rotation and or direction of the drum on a cement mixer. Do you have some simple and cheap sensors for rotation sensing that can be linked into out tracking system, preferably with serial connectivity (rs232/485) or with constant voltage outputs as signals ? I am looking for a manufacturer of flexible pressure sensors. I need something that can measure pressure gradients over 30cms, so I guess that I will need a number of sensors along a strip of some sort. They need to be flexible and thin. I am looking for the cheapest available water sensors. I just need to know if my water tank is filled or not ? Hi, could you tell me where I can find more information about pressure sensors ? I have a humanoid robot, and I need some pressure sensors in his feet so that he knows he is actually touching the floor. Also, do you know any angle sensor (maybe variable resistor...)? I want to put it at the elbow of the user. So that the robot can copy the elbow movement of the user. We are looking for a Zigbee Vendor that develops sensors for Corrosion detection and also in power lines applications. If you have the right product, then we are very much interested in partnering with you for the Middle East and NA region knowing that we have the long history success and experience in the market. We have an experienced sales team, Capability to execute promotional activities and all Financial resources required to Invest, train, Demonstrate equipments, Trade show costs, travels , etc. We have developed an automated spa cover lift to open and close the common residential portable spa cover. We are looking for a sensor to detect the presence of object/people in and around the edge of the spa. It must be weather proof, dependable, durable, and inexpensive. The market potential for this sensor can as much as 200,000+ unit annual. We are working on some solution where we need to sense a rotation of the drum in the Stetter concrete mixer trucks. Click <here> to see the image of the truck. Do you have some simple and cheap sensors for rotation sensing ? For this moment we need 2 pieces of this device. Please send us a specification, prices and delivering time to Lithuania. I'm looking for sensors that can be installed on a boat sail and connected to an acquisition device that send data to a central unit for further software processing. The sensor must adapt to a non rigid sail shape and works in marine condition (salt, rain). It must be very small and limit as much as possible fluid dynamics interference with the sail performance. Actually the purpose is to measure the pressure difference generated on the two sides of a sail at the same sail coordinate, so any other indication about the sensor that best meets this goal is welcome. We are looking for a small atmospheric sensors to measure sail pressure difference. The sensor should be small and flat and capable to work in marine conditions (water, salt, ..). Wish would be a passive capacitive sensor. Any indication on the subject would be helpful. Hello. I am looking for a sensor that can read RPM and has an output of 0 to 10 volts DC. Any help would be great. We are looking for infrared and ultrasonic sensing element like in PIR detector for cheap sensor construction in high volume series production. Can you advice some producer ? We are looking for a gas (methane) flow transducer that would be able to indicate gas flow volume in a 4" (100mm) diameter pipeline. Gas pressure 60-100 psig. Gas at ambient temperature. Accuracy +/- 10% or greater. We are Bombay, India based instrumentation company. Manufacturers of specialty sensors/instruments/systems can contact us for exclusive representation in India. We have wide sales and service network. I'm looking for sensors that can be installed on a boat sail and connected to an acquisition device that send data to a central unit for further software processing. The sensor must adapt to a non rigid sail shape and works in marine condition (salt, rain). It must be very small and limit as much as possible fluid dynamics interference with the sail performance. Actually the purpose is to measure the pressure difference generated on the two sides of a sail at the same sail coordinate, so any other indication about the sensor that best meets this goal is welcome.